This is a pen and ink drawing I did for my brother Peter in 1990, rendered with black ink on a pale sepia background. 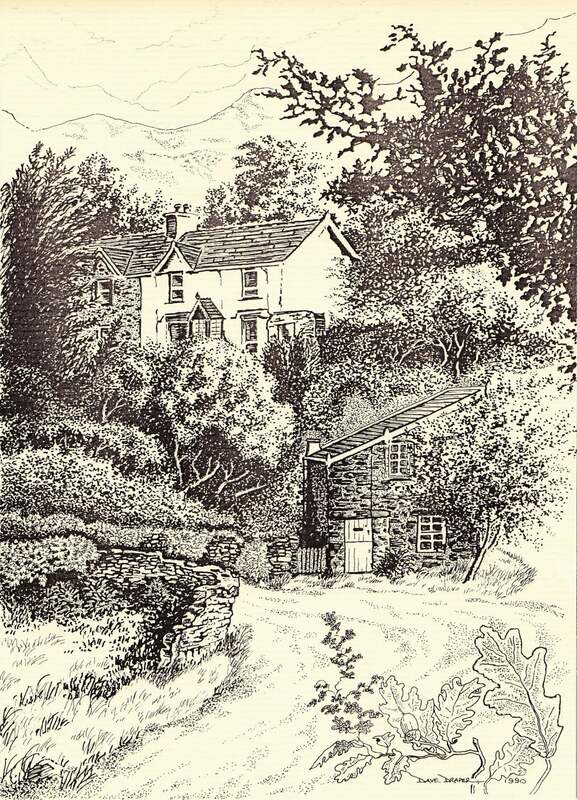 It is taken from a photographic view of some delightful terraced cottages tucked away in a rural corner at the town of Llanberis in Gwynedd, on the southern bank of Llyn Padran and at the foot of Snowdon, the highest mountain in Wales. There is also another story attached to this scene. One of the cottages it seems is or was the home of a friend of Peter’s partner Mavis Constable, called John Pike, who I’m told had something to do with the evolutionary development of the compact disc, which was originally conceived by James Russell in 1965.